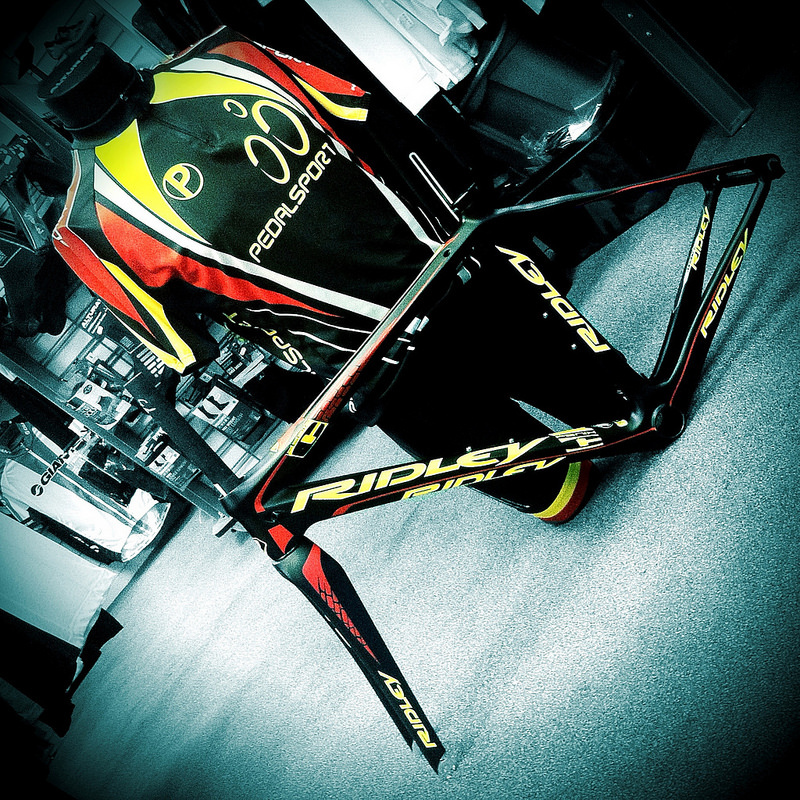 We’ve just received this Ridley Fenix carbon road frame direct from the factory, where they did a custom pain job for us. It’s in the new Pedalsport Club colours and we think it looks great next to the new kit. Custom paint jobs are available on a range of bikes and frames from Ridley. If you fancy having a bike or frame done in your club’s colours or in colours of your own choice, call us or drop into the shop and we can let you know all the detail. This entry was posted in Latest News and tagged cycling, Halifax, Ridley, road on February 6, 2014 by pedalsportclub.